With FIBARO home automation system you can create a scene that will send you a notification when your Motion Sensor is breached and armed. Configured notifications (Creating and Editing notifications). Select Scenes from the top menu. Click Add scene under the Scenes header located in the sidebar. Click Add in Add scene using graphic blocks section. Set the first condition to trigger the scene. 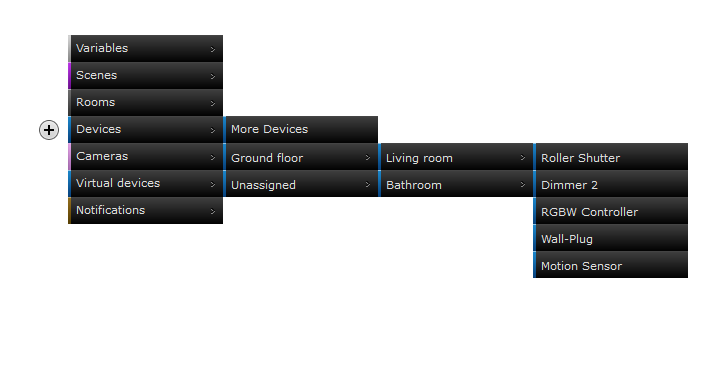 Click the + (plus) icon, select Devices and find your device: Motion Sensor. Then set comparator: == (equal) and select status from the list displayed on the green block: Breached and armed. Now set actions that will take place after triggered conditions. Select Then block. Send a notification to the assigned phone. Click on + (plus) and select event – Push. Select the recipient of the push notification and set the content. When everything is set, click the Save icon. Name the scene and assign to the suitable room. Click Save icon to complete.